It was actually supposed to be a store of wealth for 4-6 years and a hedge against the next crash, so maybe not that long-term compared to most of you. Calling it an investment is wrong, I shouldn't have said that - I'm not sure gold actually qualifies as a proper investment. I'm just glad I got out of it before I lost even more. And @silenceissilver with respect, I do not take financial advice from a guy filming a video in his car. @Glorfindel, I'm sorry that you had a bad experience with gold and that you lost part of your 'investment'. Good you got out when you felt you had to, and each to his own. I do however think that *anything* can be classed as a “proper” investment, and asset values go up and down. Good luck with whatever else you chose to invest in. I hope so. For my sake, that is. I've heard that house prices will fall dramatically after Brexit. Are you thinking of selling up? I don't give advice to anyone here, I just share my opinion and explain it. In this case I also emphasisied it with an emotional video. Which will come and make your newly aquired shares and bonds not completly worthless but they will go dowhnill big way. No one knows when but sooner or later it has to come in one of several possible forms, which are basically a hyperinflation or a biblical debt cancellation (= cancellation of monetary assets) unless - theoretically it can be carried on forever but only at the cost of a permanent 30ies style deflation. Occupy yourself with the monetary system thoroughly and you will probably buy PMs again. Don't just read about it from one perspective (one school of thought) but all alternative monetary sytems that exist. You can break it down to the full privatisation of money creation (Austrian School of economics), the full nationalisation (Irving Fisher etc) and Demurrage Money after Silvio Gesell and of course PM back currency. From every single perspective we are heading towards a crash - and you will be screwed because you are too easily scared off. To be straight I have a career in investment banking and have seen all sorts of crashes, panics, have seen fortunes lost and made in minutes. What works long term in my professional opinion is to buy and hold. Just to add, if you are looking for a one way bet, then don’t invest in anything - you will always be disappointed. Personally I think you made a good investment, with the correct coins you just sold them badly. When you see them on Atkinson’s (that’s if they down already have a buyer lined up) you will see this. Just incase anyone else out there is looking to cash out on some 1 oz Queens beasts @BleyerBullion stated in their interview with me that they would pay above melt value for these coins where appropriate. Certainly better than spot price. Also, as an aside - I will buy whatever number of Queens beasts lions and Griffin's at spot price even +5%. All day long. Gimmie gimmie gimme. I am sure @Abyss would say the same. Another aside, I have and continue to offer intermediary sales services just for this very situation where new sellers might have cold feet about using the forum for large value sales. I am going to be watching the Atkinson's pre owned page with a keen eye to see just how much money they are going to make in the next week from this trade! "Sold all my gold, got stung"
I don’t understand why Brexit would effect the gold price? Gold is a worldwide commodity, traded in 3/4 of the world who couldn’t give a damn about the outcome of Brexit. As mentioned before, it’s the value of the Pound that’s at risk. Surely gold is a good hedge against that? if the £ gains the amount of gold you get for your £ increases meaning the price drops. If my memory serves me right I think, @Paul, sold about 8K worth of gold in a few hours on the forum. You just have to ask. Someone offered the above at spot +3% I would buy without hesitation because of number of QBs for sale. New seller or don’t have enough feedback @BackyardBullion offers intermediary service. As for @Glorfindel nobody knows the future and you maybe right to liquidate your position (most likely got better liquidation price on the Silver forums than a dealer). My stack PMs going used for one of two purposes. Pass on as inheritance to my son or convert into another asset type (rental properties) if/when circumstances right in my lifetime. This posts raises some interesting concerns and fears that are within everyone who has purchased PMs (including myself) have we made a bad decision? From current Gold spot price if it was to fall further 10-40% there would a lot individuals who would experience the same anxiety and fears as @Glorfindel. I am in Dubai on annual leave just now but before I left spoken senior ICICI life insurance people managing funds for NRIs (Non Residential Indians) in India and asked wanted anything from UK/Dubai and they stated just bring as much gold as you can 😁 (I was referring to sweets/chocolates). Go from on country to another swooping one piece of paper for another but Gold espically in Asia is viewed as real tangible wealth. not checking / shopping around for a better deal ? How did they pay? Cash or bank transfer? I'd like to dump some silver but I want cash. The OP is getting a hard time - and some good advice - which i agree with! But i think he has just got into gold at the wrong time in his life and i agree with him buying his first house is more important than holding gold (for him). 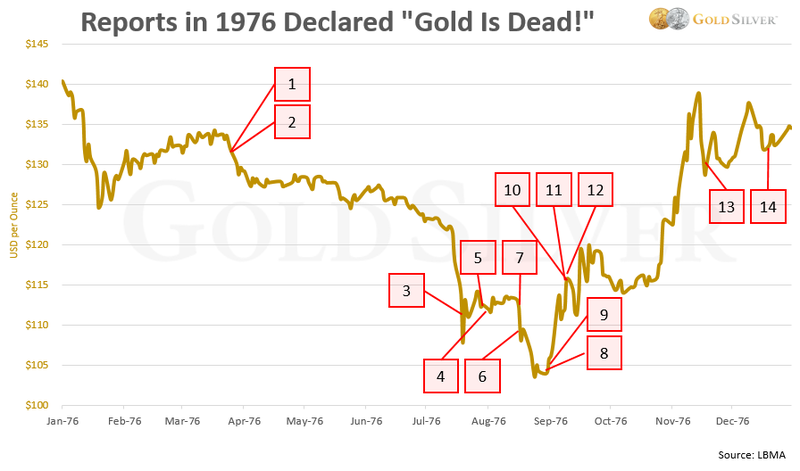 For me uncertain times makes me want to buy more gold! Assets rise and fall, the hope is if your diverse then if one thing is falling HOPEFULLY another is rising! Good luck with your future investments, perhaps one day you will decide to diversify back into PMs. Brexit has the potential to send Sterling down - this would mean it would cost you more GBP to buy gold. I've been thinking about this and my suspicion is that pretty much no matter what the outcome Sterling will recover. Any decision may be better for Sterling than the current uncertainty. The thing I take issue with is people trying to make me feel bad for not selling them here. I just did not (and still don't) feel comfortable about informally selling to individuals who I don't know. This is all understandable and good practice when dealing with strangers, in particular if we are talking several grand. You are right: you could have lost the whole lot in a scam. In that way you have discovered that there is a safe route out of gold. You shouldn't feel bad for not selling here, they just equally feel their own lost opportunity, so don't. Unless you needed cash for something immediate (in which case, you made stacker mistake #1 and didn't build a cash reserve) makes no sense at all. Just shows the breathtaking misunderstanding of the role of gold, even amongst many so-called stackers. I am sorry to hear you had a bad experience with gold and I think you did the right thing by selling them all to a dealer without stressing yourself anymore than this, you weren't having fun with it, it wasn't for you. I am new to gold stacking myself but unlike you I'm absolutely loving this journey, since I started buying gold I never thought that I made the wrong decision, I can't wait for the next opportunity to arrive to buy more gold and when I buy a piece of gold I am already having an eye on the next one. if the time comes when I am desperate for cash then I will have to sell but other than that I don't see any reason to sell my gold or even silver. I joined the forum before I bought anything and the amazing members of this forum helped me a lot, there are so many intelligent people here who will give you the best advice, you just need to ask, I learn a lot from this forum every single day. anyways I wish you the best of luck with your next investment and I'm sure you have learnt a thing or two from this experience.